Want this New York taxi wall art in a different size? Check our sizes and prices. 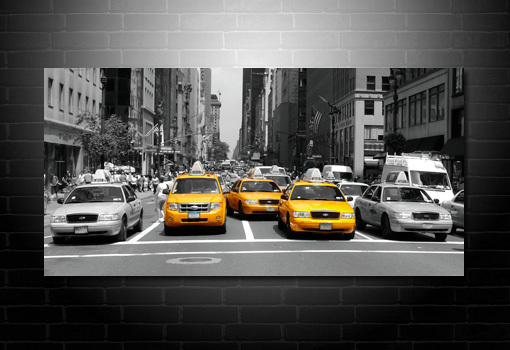 This New York taxi wall art has been finished in a colour cut style combining black and white with the vivid yellow of the New York Taxi's. 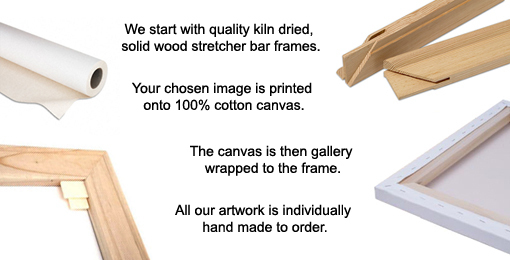 The canvas is securely gallery wrapped to the pine wood stretcher bars frame and will arrive at your home ready to hang from the box. Easy to use hanging kit and care instructions also included.